every day is a good day for an a england holo, and today i'm presenting briar rose from the burne-jones dream collection. their description: ""her lips a ruby glow of life, while she lays lost in time" - a cranberry/scarlet base hue bearing a slight milky sheen and a gently ladylike prismatic demeanor, evidence of a still-beating heart." 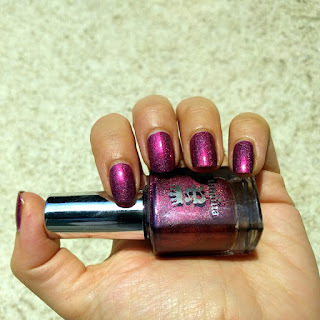 it is another gorgeous scattered a england holo, briar rose, better kown as sleeping beauty. 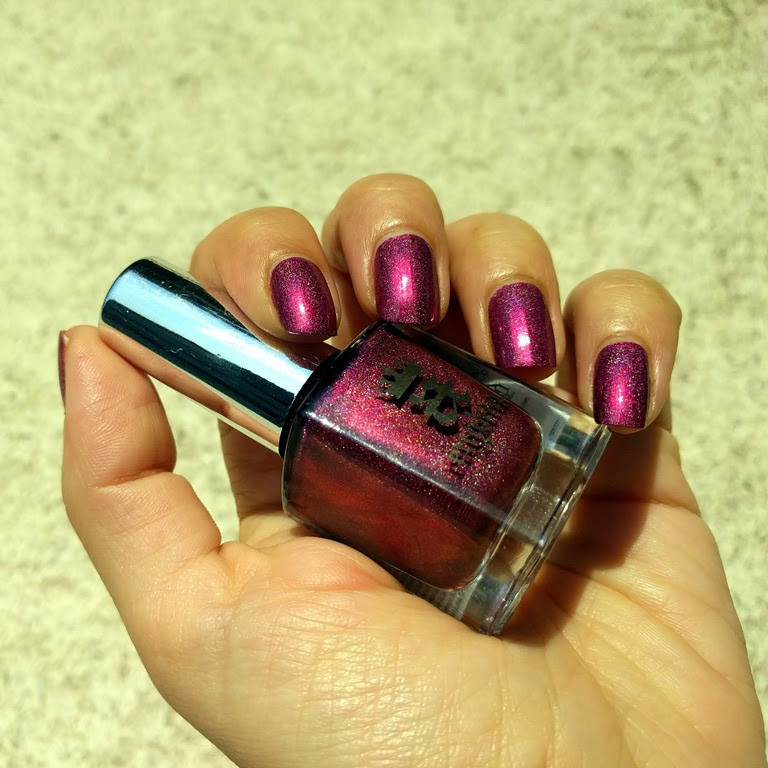 the shade is somewhere between red and purple, filled with tiny holo particles that give it a misty, gorgeous look. with the outstanding formula and application, this is definitely another a england's gems.